TaeVheon Alcorn, center in blue, who will be a junior this fall at Gardner-Edgerton High School, participates in the KU Summer Venture in Business camp at the University of Kansas Business School, Sunday, June 4, 2017. 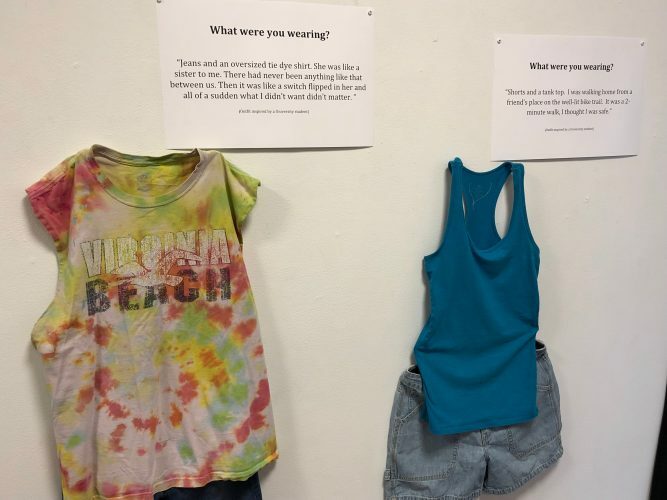 Sunday was the first of three days for the event. 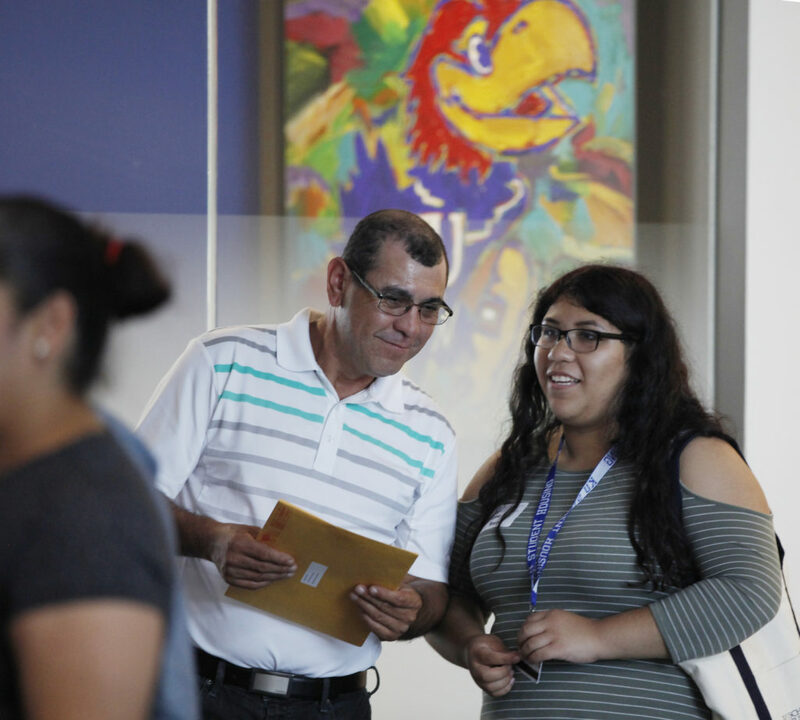 Regina Sosa was one of the first of 35 high school students to register Sunday at Capitol Federal Hall on the University of Kansas campus for the inaugural Summer Venture in Business. It’s not unusual for the 16-year-old Kansas City, Kan., Sumner Academy student to be in the front of the line, her mother, Marianna Sosa, said. Regina, who will be a junior next school year, is a stellar student and is determined to succeed, she said. One thing the teenager is focused on is her career path. KU is one of the schools she is considering, but her dream is to attend New York University, Regina said. Diane Perez, who will be a senior at Turner High School in Kansas City, Kan., this fall, goes on a tour of the University of Kansas Business School Sunday, June 4, 2017 during the first KU Summer Venture in Business. Perez was joined by her father, Modesto Perez. 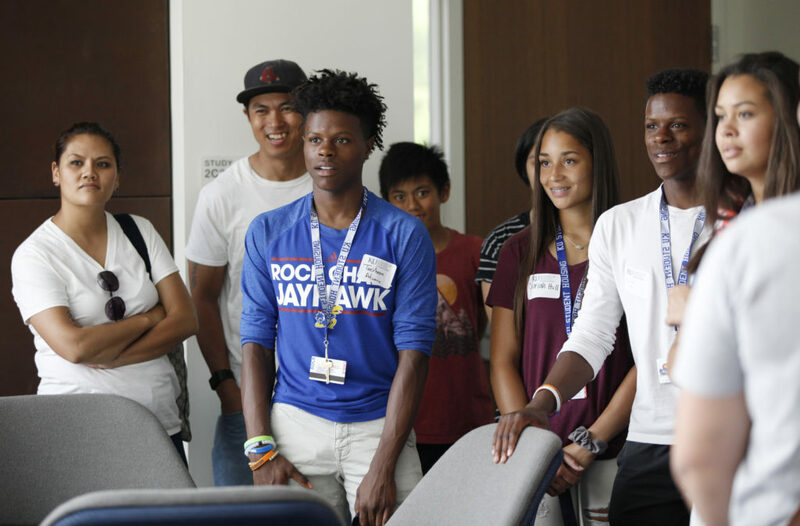 One of the goals of Summer Venture in Business, which continues through Tuesday, is to get Regina and the other 34 campers to consider KU and its business school when making college choices, said former KU student body president Stephonn Alcorn. 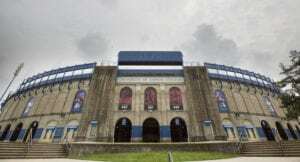 He and his Student Senate coalition had proposed such a camp last year as one way to help increase campus diversity — a concern that has been at the forefront at KU recently. The program is open to high-achieving 10th-, 11th- and 12th-grade minority students or those who would be the first in their families to attend college, Alcorn explained to the students at the camp’s welcoming gathering. 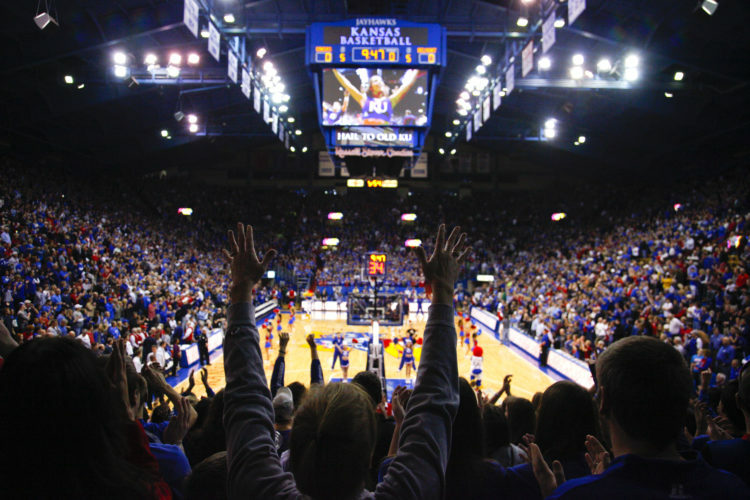 At the camp, students will hear discussions on the many majors offered at the KU School of Business, including finance, accounting, and marketing and information systems, among many others. 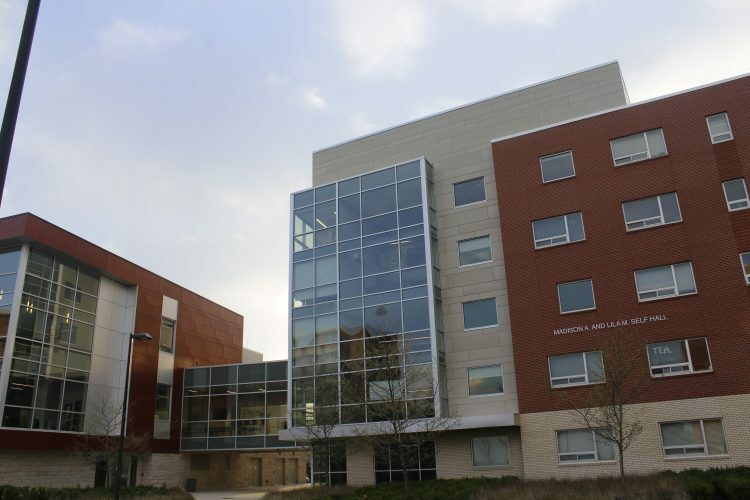 The students also will learn how to apply to KU, will have the opportunity to familiarize themselves with the campus and will be introduced to alumni, students and faculty with whom they can network and develop relationships, he said. The idea is to expose the students to resources and insights that those from under-represented populations rarely have when starting at KU, said Alcorn, who graduated in finance last month. 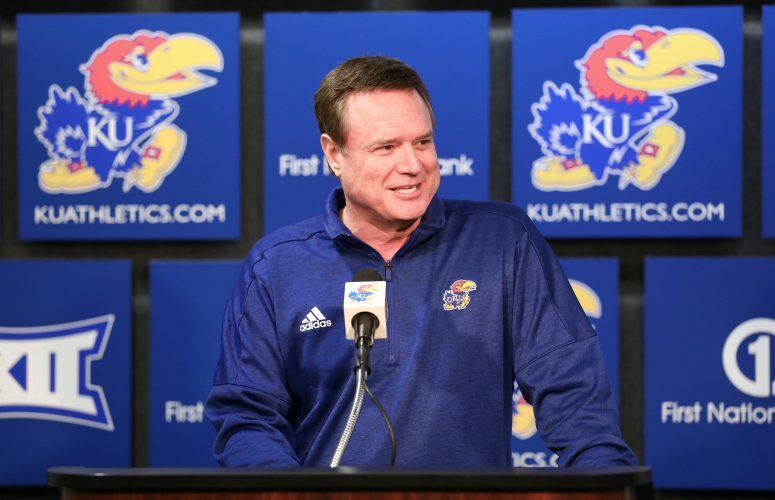 “KU is a special place, but it isn’t as special if everyone doesn’t have the same resources as those of other students who come to KU,” he said. In his remarks to the students, interim business school dean James Guthrie praised the camp as primarily a student-led initiative. He said he was impressed by the thoroughness of detail in the proposal that Alcorn and other students first brought to him. “They even included some initial funding sources,” he said. By contrast, “the ideas faculty bring to me are usually a little fuzzy and have no funding,” he joked. One of the camp’s student coordinators, Abdoulie Njai, a May KU graduate in human biology and last year’s KU Student Senate director of diversity and inclusion, said he wanted the camp to not only recruit its participants to KU but to also encourage the participants’ under-represented peers to consider KU as well.